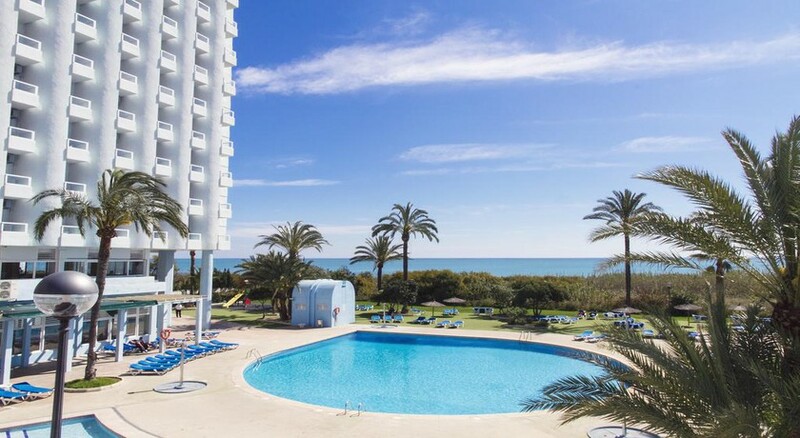 Hotel Playas de Guardamar is a luxury family-friendly hotel located on the lovely beachfront of Moncayo in Costa Blanca not far from the lush La Mata y Torrevieja Nature Reserve. Surrounded by a landscape of natural dunes, this is particularly scenic part of Costa Blanca. With direct access to the Blue Flag beach, rooms at the hotel offer lovely Mediterranean Sea views, the bright air-conditioned rooms and come with free Wi-Fi, a fridge, safe and en-suite bathroom with sink. With a garden, sun terrace, children’s swimming pool and a play area the hotel invites guests to enjoy a comfortable stay in Guardamar del Segura, Alicante with excellent facilities and warm hospitality. 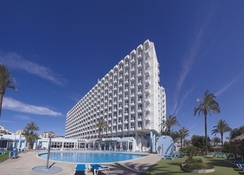 The hotel is located on the lovely beachfront of Moncayo, a Blue Flag beach in Costa Blanca and in close proximity of the lush La Mata y Torrevieja Nature Reserve. It is 14.5km from the Torrevieja Marina. The distance to Alicante Airport is 33.2km. At Hotel Playas de Guardamar guests can feel at home with all modern amenities. The brightly painted, well-appointed rooms here come with free Wi-Fi, air-conditioning / heating, telephone, flat satellite TV, mini-fridge, desk and en-suite bathroom with bathtub / shower, hairdryer and bath amenities. The mattresses on beds are of hypoallergenic and made with the latest viscoelastic materials. A private terrace provides wonderful views of the sea, the beach and scenic surroundings. Rooms come in categories like Standard Double or the Panoramic Room with Jacuzzi. Hotel Playas de Guardamar has a clutch of delightful restaurants and bars where guests can indulge their palate. The buffet restaurant serves delicious traditional dishes of Mediterranean cuisine, though international cuisines and special menu for children are also available. The Bar Las Dunas serves coffees, sandwiches, pastries, soft drinks, cocktails and mocktails and diners can play several table and recreational games. There’s a pool bar, that serves coffees, soft drinks, cocktails and mocktails and light bites such as sandwiches or hot dogs. Two beach bars: Chiringuito Las Dunas and Chiringuito Piscina serve drinks and snacks on the beach. 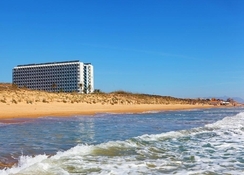 Hotel Playas de Guardamar offers plenty of avenues for the guests’ recreation and relaxation. During summer, the disco, water and sports activities are all open including the Mini Club with ball park for kids. There’s a gym where those who wish to stay active can work out. In winter, the hotel makes available a heated pool with water jets, Jacuzzi and mini-mountain facilities. There is live dance and entertainment programs at the nightclub. The hotel also has a seasonal spa with hot tub and heated indoor pool providing relaxing massages and therapies. Really wonderful friendly bar staff and receptionist. Really friendly staff in the bar, wonderful lady on the reception. Would recommend this place as wonderful velue for money. This is an ok hotel. Not fantastic, rooms very dated. Your paying for 5* , but it really is not. Location dictates their price. No hotels around.